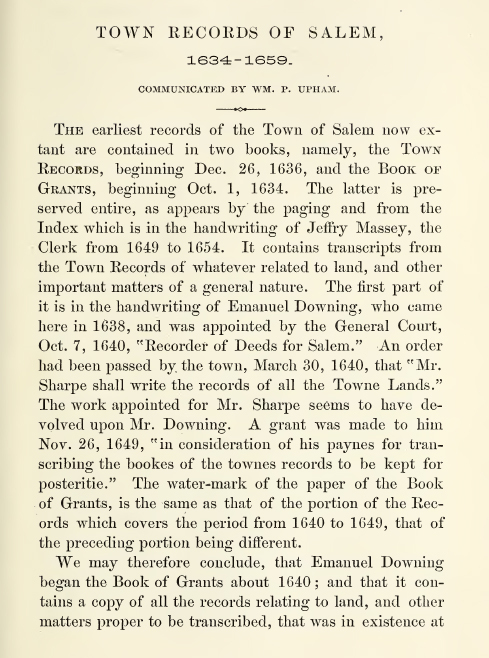 Town Records of Salem, Massachusetts 1634-1691 three volume set is an interesting look at the goings on in the early days of Salem. 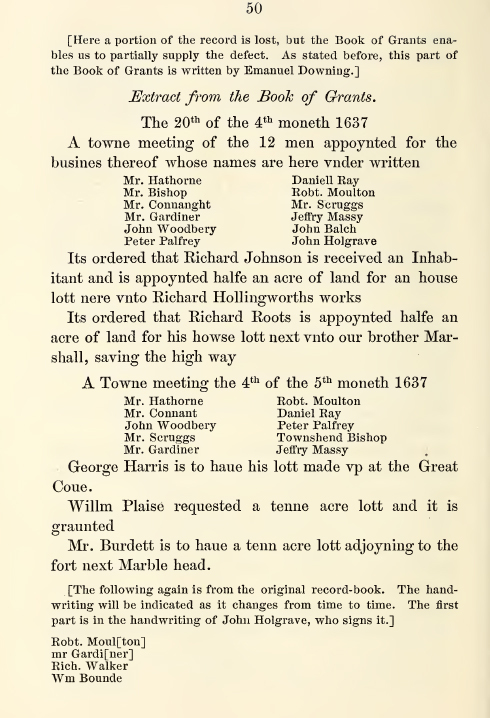 Each volume is full of details of the governance of Salem, MA as well as the interactions of the people who lived there. 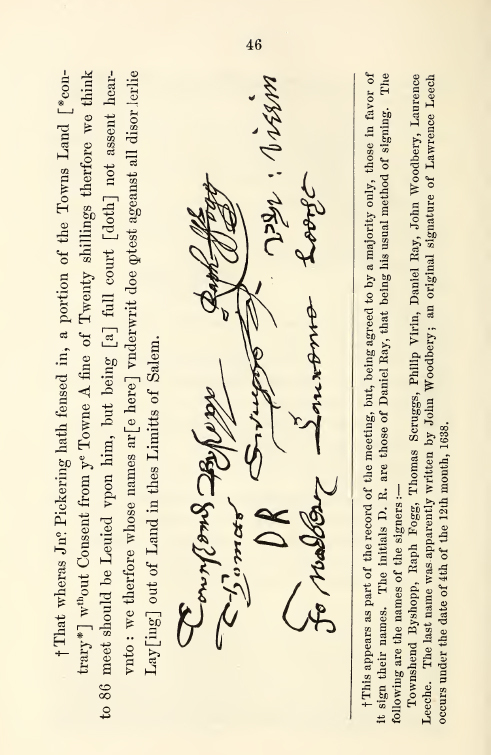 The collection makes for fascinating reading and is a great genealogical resource for those researching the earliest settlers of Salem, MA. The three volumes contain approximately 900 pages of material.